Minutes from downtown Huntsville. Come home to your own private retreat at the top of Green Mountain. 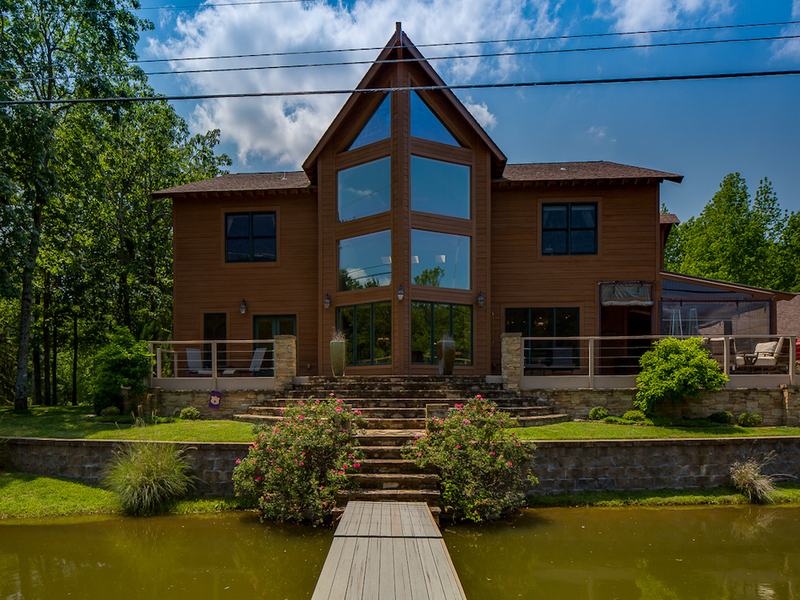 This 2008 custom built 4 bedroom / 5 bath Lodge like Estate sits on 3± acres with private spring fed, stocked lake. The open floor plan and numerous outdoor lounging spots give you plenty of room for entertaining as well as daily family living. The cabin-like style of the home and personal lakes all within the city limits, makes this home a rare gem. An Albert Burney representative will be available on August 13th & 20th between 11:00 AM to 2:00 PM. Additional private tours can be made by calling our office 256-543-1654. Registration begins at 2:00 P.M. on Auction Day. Auction begins at 3:00 P.M. Ten percent (10%) down Auction Day with closing on for before September 25, 2017. Certified funds in the amount of $50,000.00 will be required to bid. The certified funds may be in the form of a Cashier’s Check made payable to the bidder, or a personal or company check with a Bank Letter. 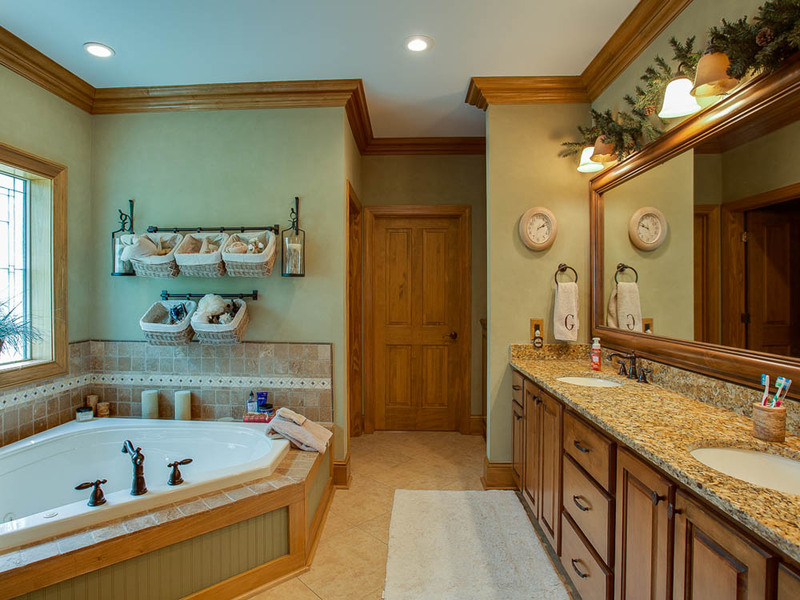 Come home to your own private retreat at the top of Green Mountain. 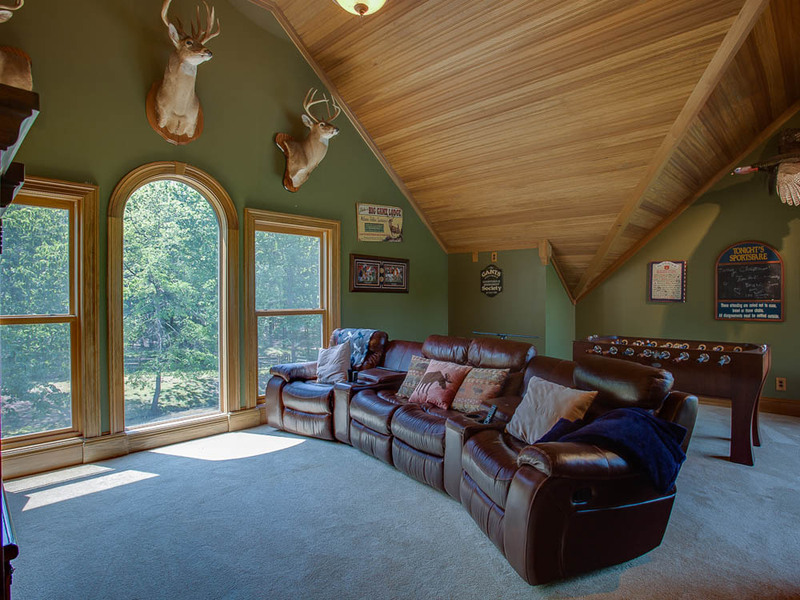 This 2008 custom built 4 bedroom / 5 bath Lodge like Estate sits on 3± acres with private spring fed, stocked lake. The open floor plan and numerous outdoor lounging spots give you plenty of room for entertaining as well as daily family living. The cabin-like style of the home and personal lake all within the city limits, makes this home a rare gem that one lucky bidder will have the pleasure of owning! This 5,327 sq. 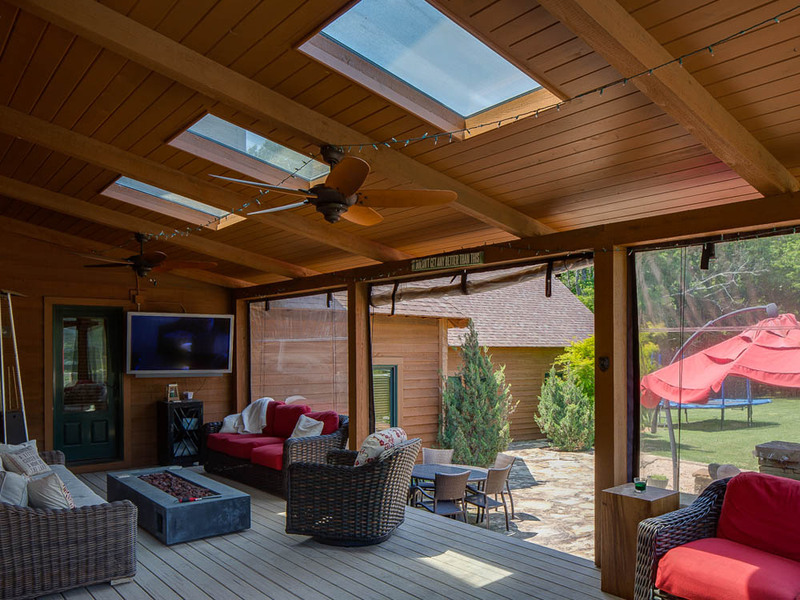 ft home has a gorgeous cypress wood exterior with a soaring 36-foot ceiling in the living room. Step inside and you will be in awe of the mountain views provided by the home’s panoramic floor-to-ceiling windows. 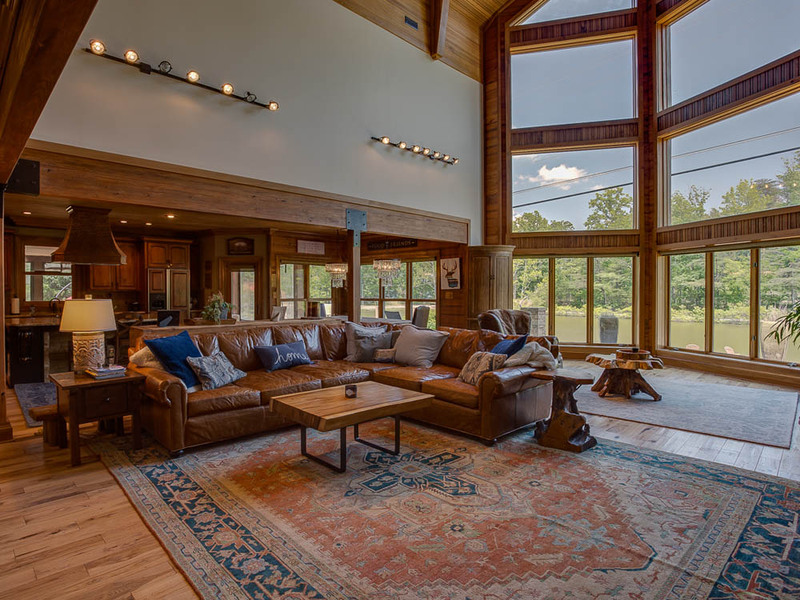 An array of rich textures including hardwood floors, exposed cedar beams, wood paneled ceilings, stone wall accents and a large stone hearth will further invite you in to the home’s elegant warmth. 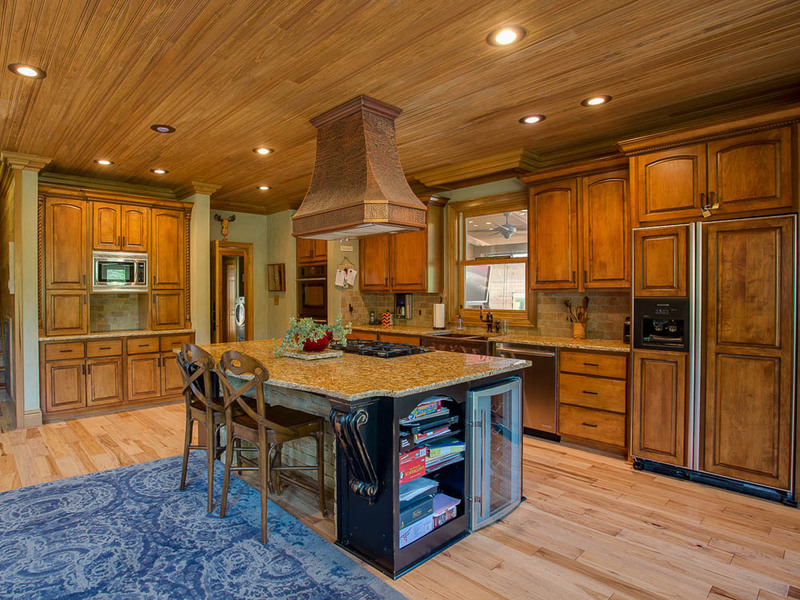 The large kitchen is perfect for both entertaining and feeding a busy family. And the master retreat with coffered ceilings and stone fireplace are perfect for staying warm on cold winter nights. 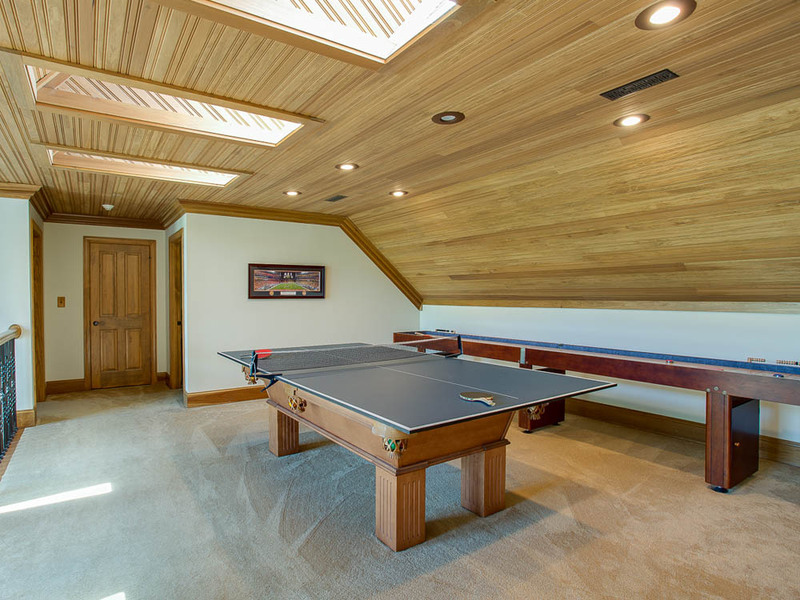 The home also features three additional bedrooms, a large game room, and two HVAC units. 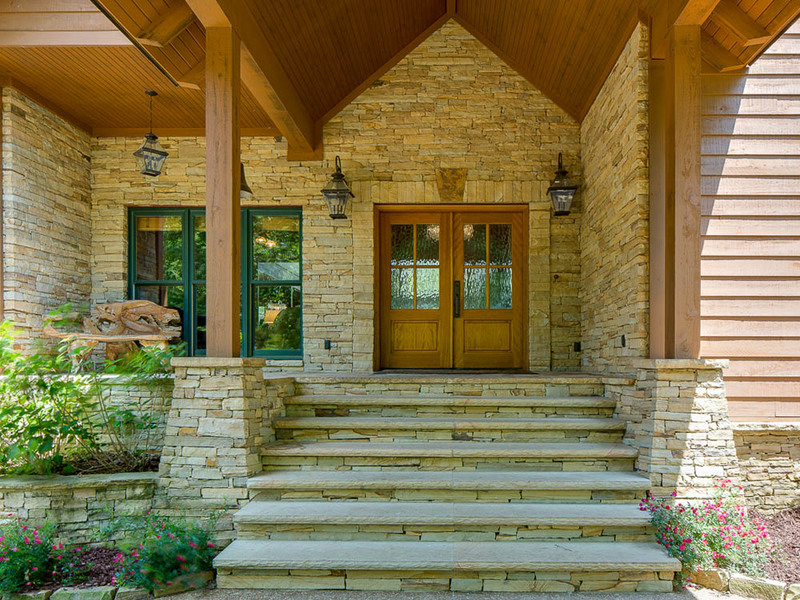 Outside, this magnificent home features covered as well as open-air porches, an outdoor kitchen with both gas grill and built-in green egg, outdoor fireplace and a dock for fishing or simply relaxing in the sun. 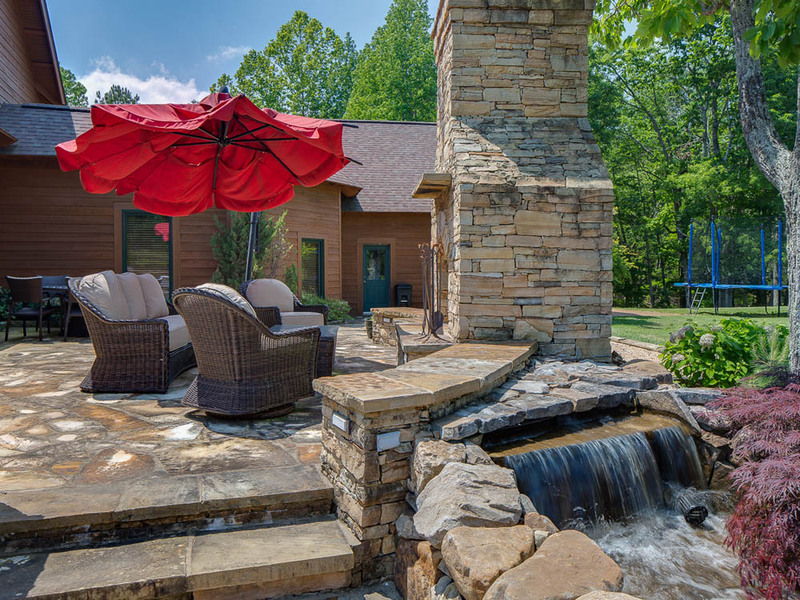 Recreational opportunities abound whether it’s piddling around the workshop, fishing or kayaking in the lake, or hosting a family dinner by the outdoor fireplace. The possibilities are unlimited! Green Mountain Estate is in the perfect location being only miles from anything you could possibly want or need, local restaurants, shops, boutiques, grocery store, etc. Just minutes from downtown Huntsville, Hampton Cove, and public schools. This magnificent home is zoned for a great public school district, Mountain Gap Elementary, Mountain Gap Middle, & Grissom High School. 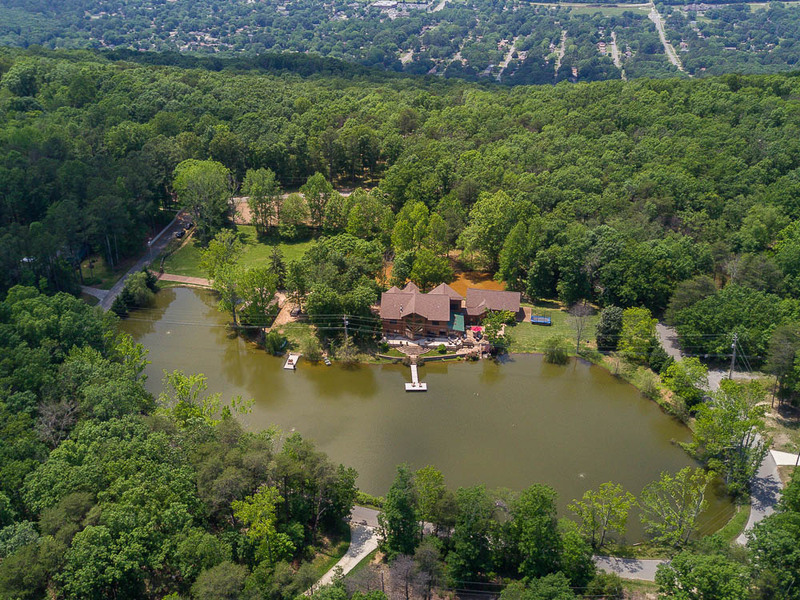 Imagine owning your own secluded mountain getaway nestled among mature trees and private lakes – without every leaving the city! Don’t miss your opportunity to purchase this beautiful, private mountain estate on auction day!. DISCLAIMER: All information is taken from sources believed reliable; however, no guarantee is made by the Auction Company, Broker, or Seller. The seller has the right to withdraw the property, delay or cancel the auction, or sell the property prior to auction. Buyers should satisfy themselves as to any inspections prior to bidding. Any announcements made the day of the auction supersede all advertising. All measurements, property lines, boundaries, sales map & square footage have been received by 3rd party resources and are used for illustration only. Warren A. Ward #1957. In conjunction with Berkshire Hathaway Homeservices Rise Real Estate.